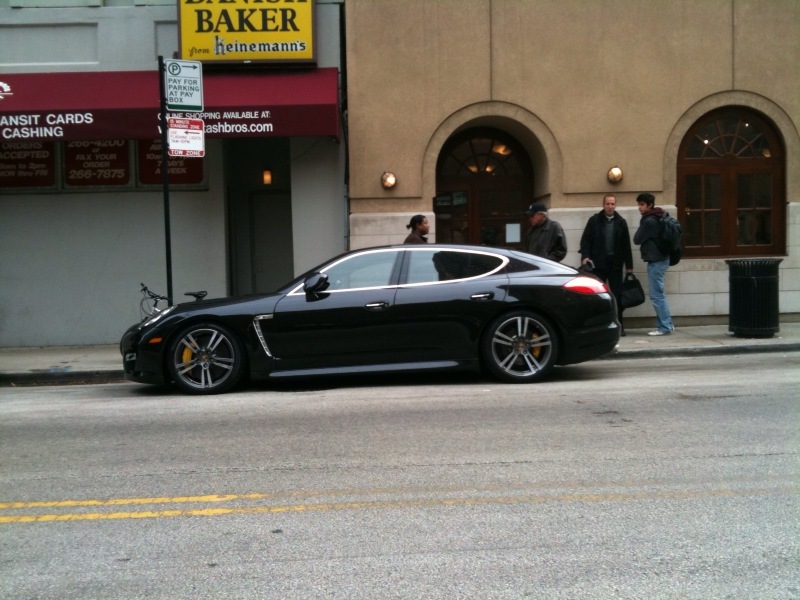 Picture of the new Porsche Panamera parked curbside in Chicago. Not going to lie… this car looks GOOOOOD in person! I’ve added this to my Christmas list for those who aren’t sure what to get me this year. This does look better than any other picture I’ve seen of it. Once you see “her” in person you’ll fall head over heels.